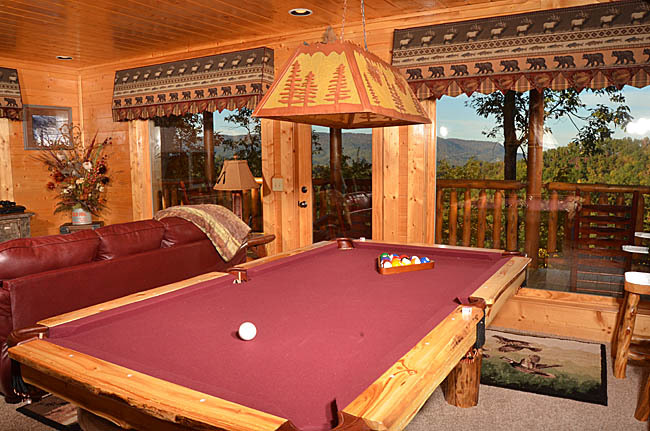 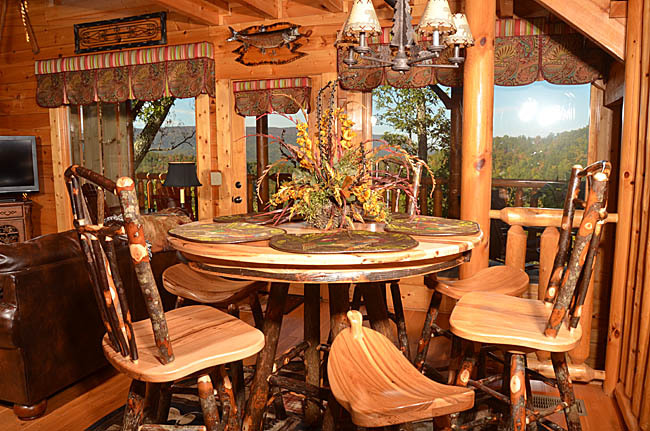 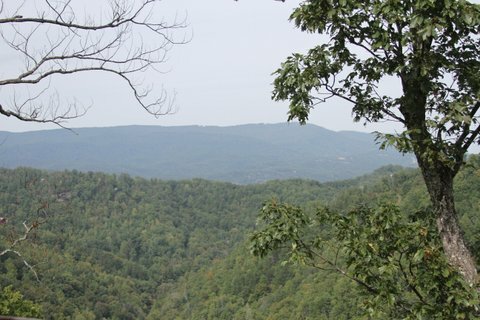 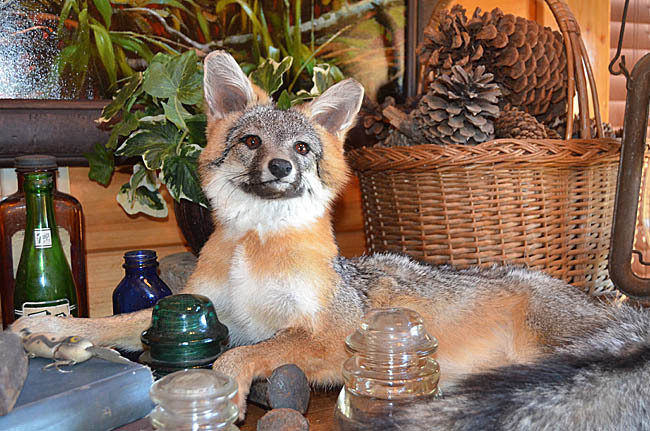 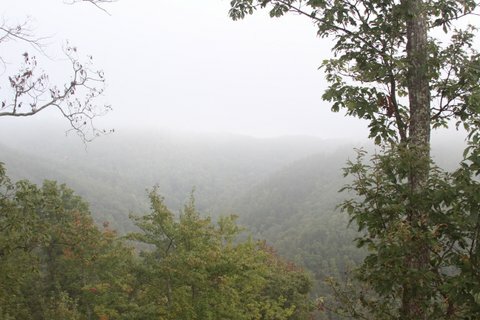 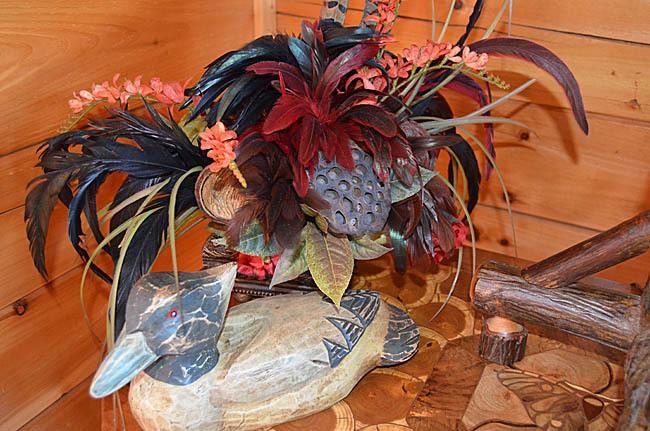 The owner of this luxurious 2 bedroom 3 bathroom cabin, High Falutin, has spared no expense to make this one of the most spectacular vacation getaways in the Smokies. 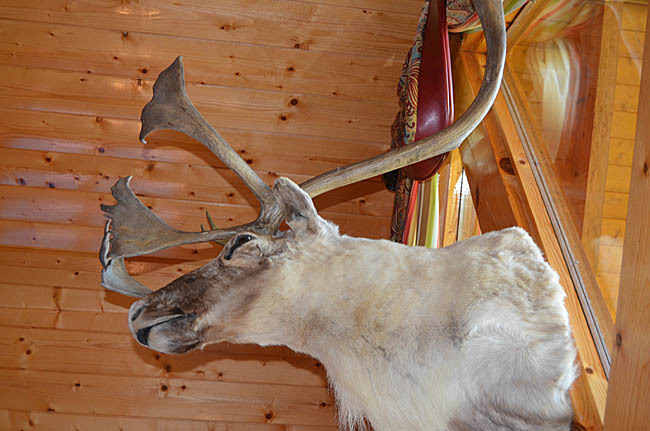 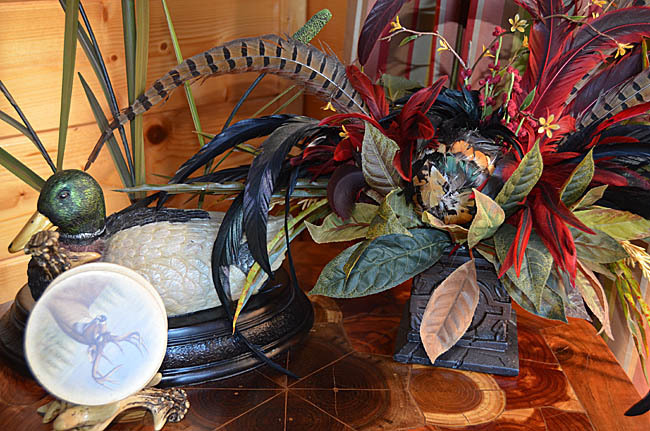 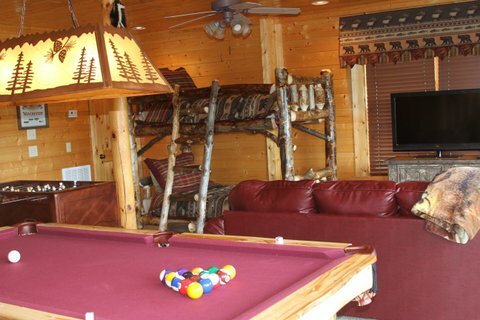 High Falutin is professionally decorated with luxurious furnishings. 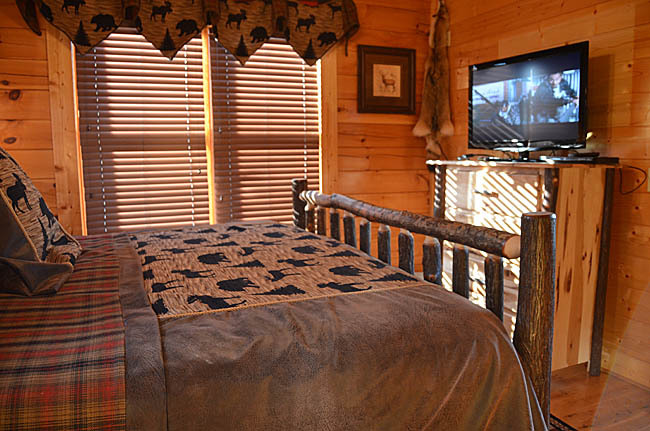 This cabin is located in the Preserve Resort, near all the attractions Gatlinburg, Pigeon Forge, Cades Cove, and the Great Smoky Mountains. 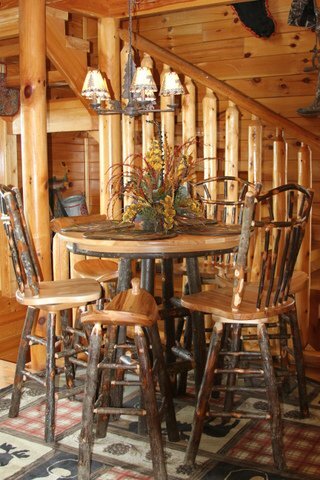 Enter on the main level, through the gourmet kitchen by the unique dining table with saddle chairs. 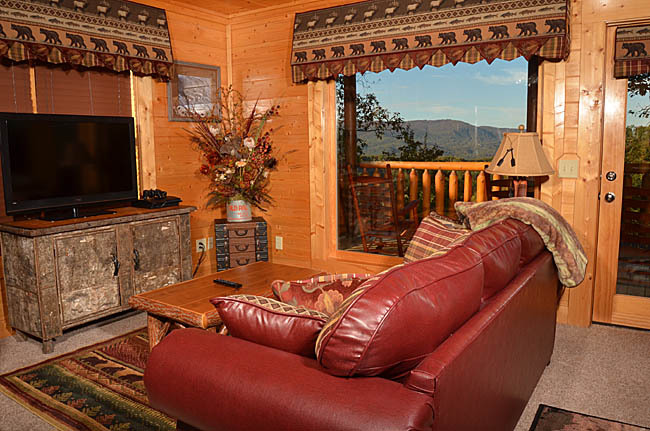 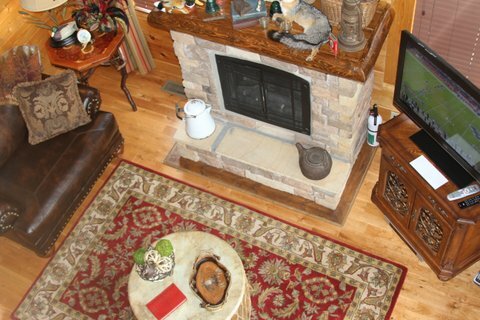 The open living room with walls of glass with stunning view of the smoky mountains will get your attention, electric fireplace, 40 inch plasma TV. 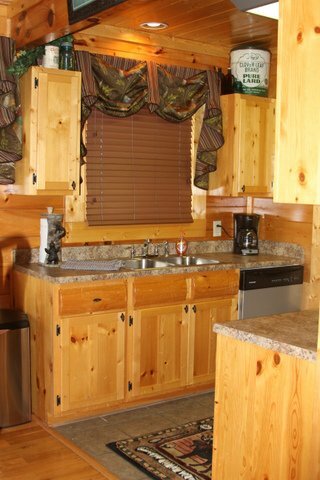 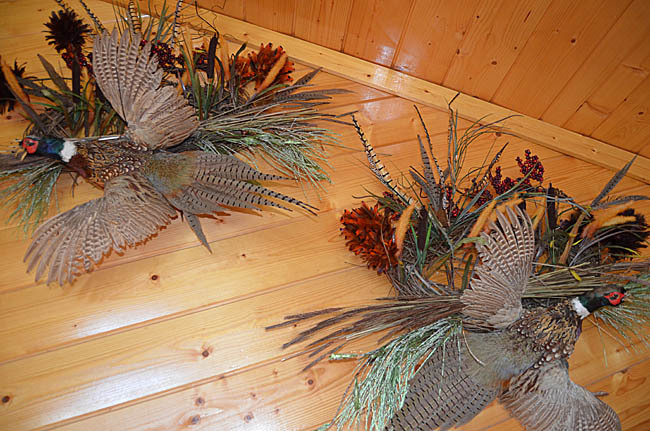 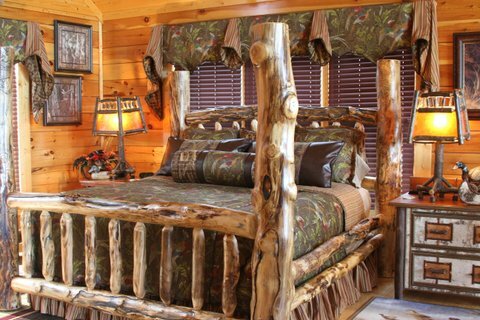 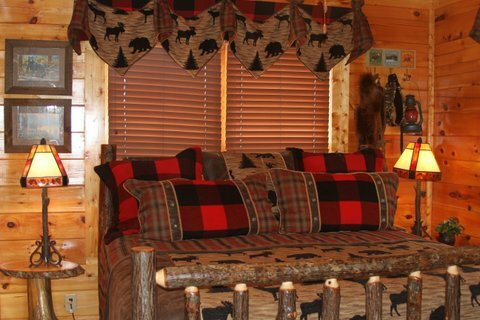 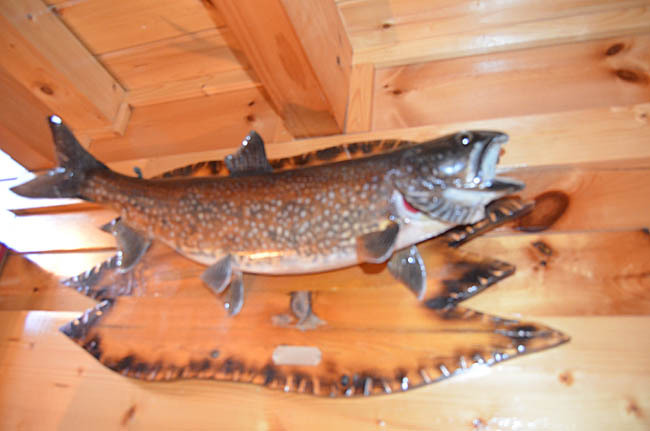 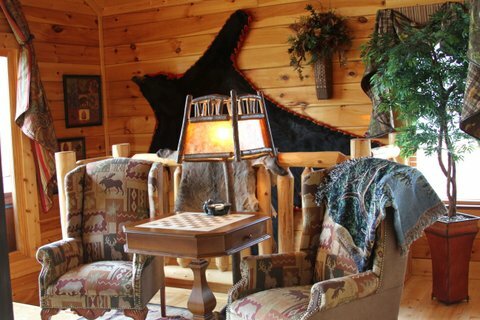 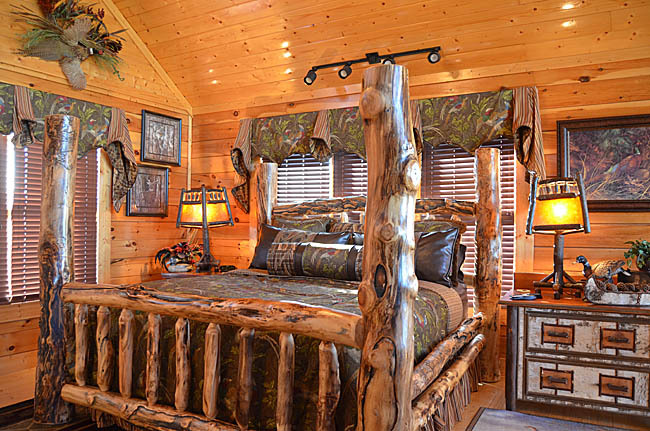 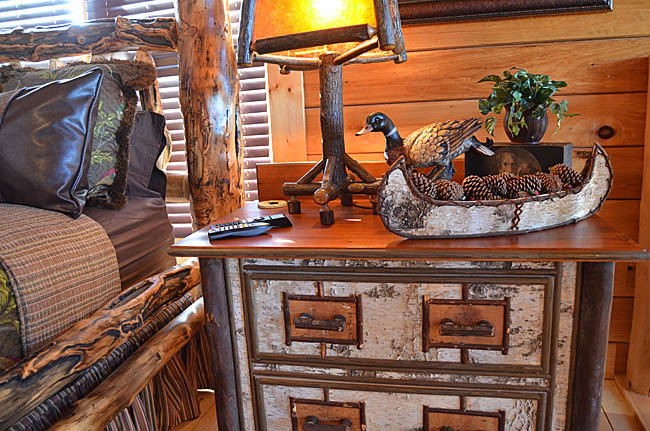 The bedroom on the main floor has a hickory log bed frame with a private bathroom and a 37 inch flat screen TV. 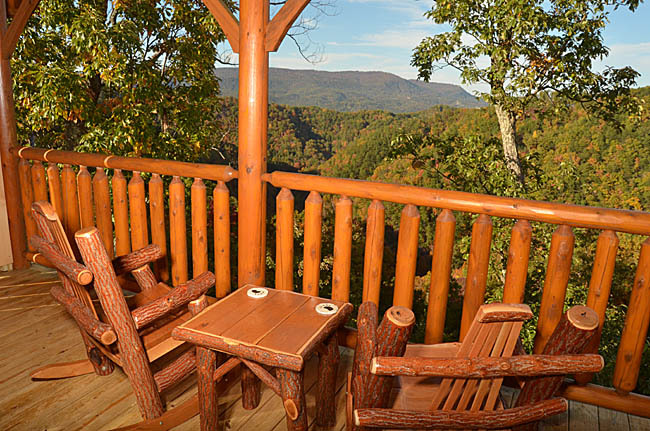 Be sure to settle down into the rocking chair out on the main deck and delight in the magnificent view. 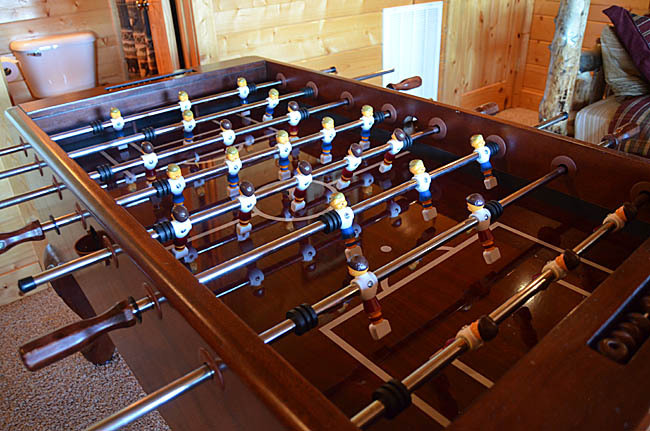 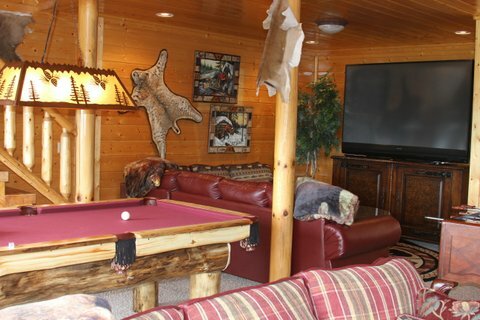 The lower level of the unbelievable vacation home features a game room that includes a theater room with an 82 inch flat screen with DVD player, pool table, foosball, 40 inch TV with a PS3, and a log bunk bed and sleeper sofa. 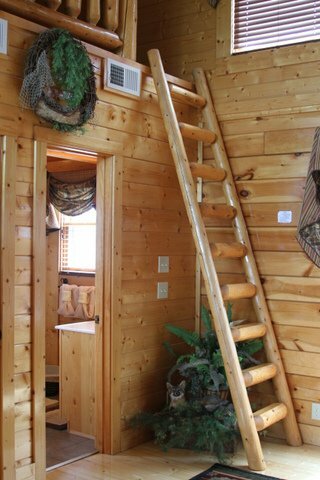 Also on the lower level are washer & dryer, and a private bathroom. 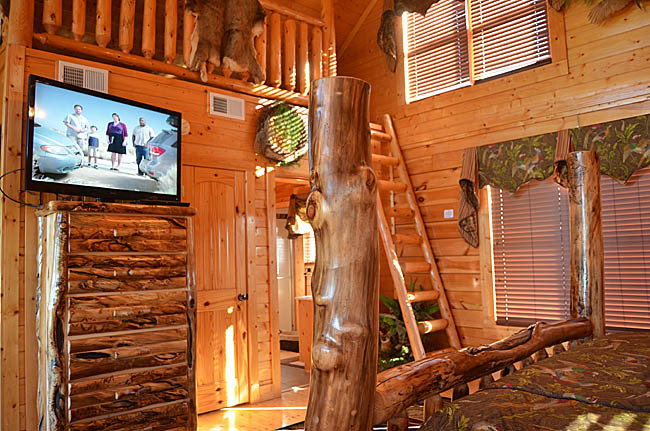 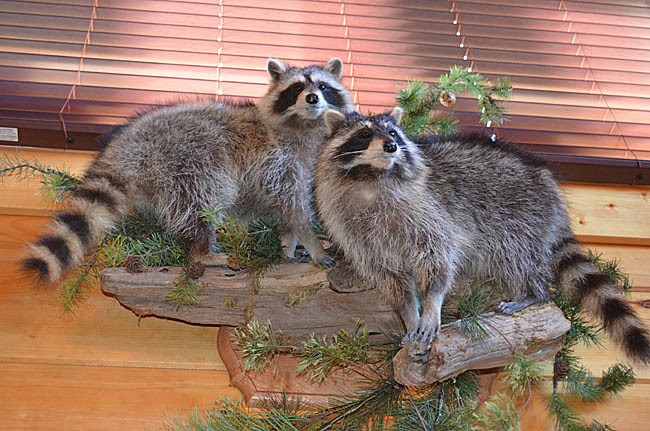 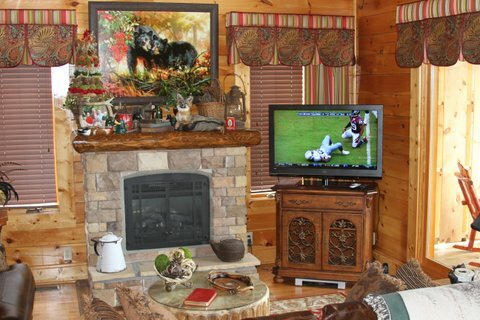 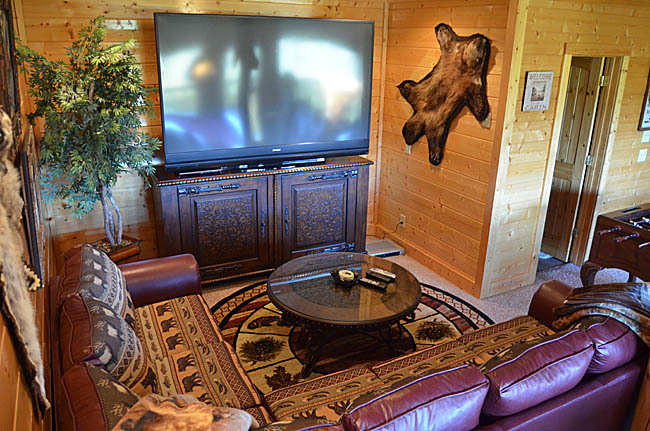 The upper level of this outstanding vacation home features a massive aspen log bed with a 50 inch plasma TV. 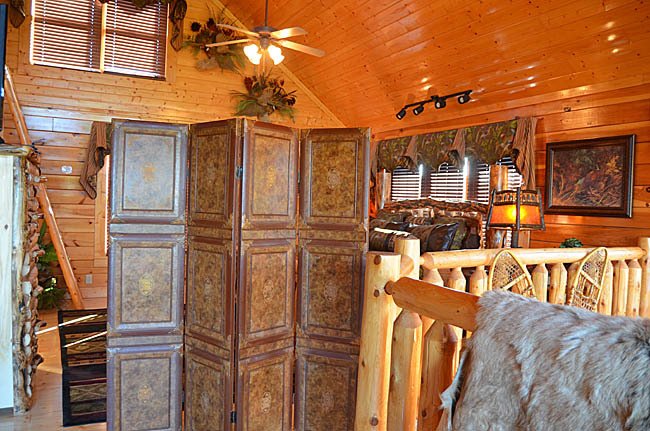 The bathroom on this level features a Jacuzzi tub and large shower. 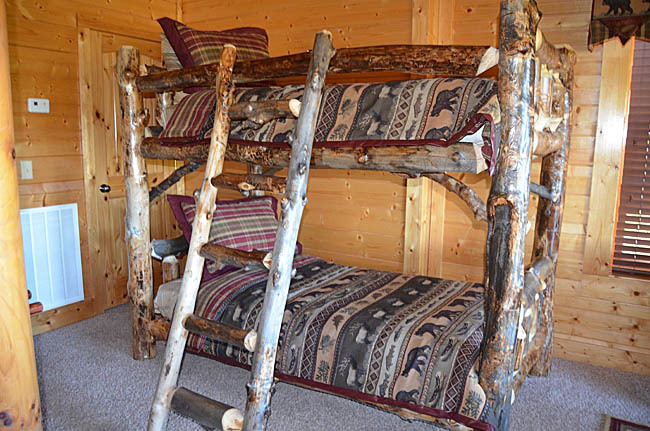 There is a child sleeping loft accessed by a log ladder. 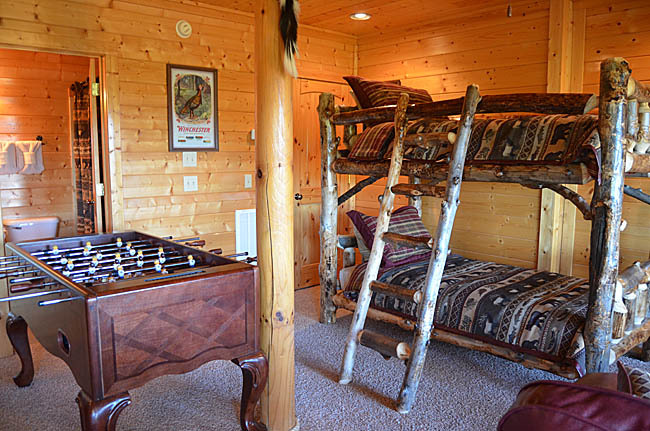 There is also a game table where you can play checkers or chess. 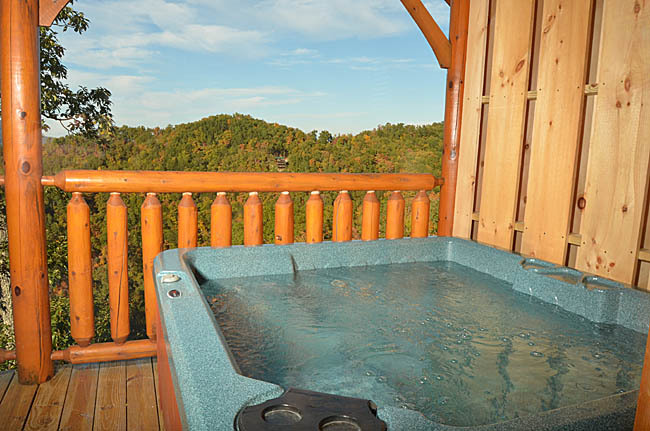 Cross the catwalk to the impeccable view and relax in the rocking chairs or soak in the hot tub and enjoy the mountain view or look at the stars.